Execution has been outlawed in much of the world because even the most painless methods are deemed immoral, and even where it is practiced they tend to try and lessen the pain as much as possible. These are all attempts at doing the exact opposite. The execution methods on this list are all designed to be as excruciating as possible, and the cause the most humiliating, unimaginable pain before finally dying. These execution methods would surely be condemned by countries worldwide, if anyone were to use them today. 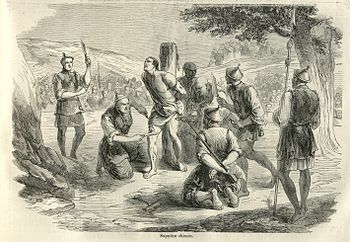 Hanged, drawn and quartered was the punishment for high treason in England from 1351 to 1870, although it had been used against criminals for years before then. High treason was the act of betraying the state. Criminals would be attached to a wooden hurdle, and drawn (dragged across the ground) by horse to the place the execution would be held. The man would then be hanged, but not until death. This wasn’t mercy, it was so they could then be emasculated, disembowelled, beheaded, and quartered (chopped into four pieces). The remaining body parts would be displayed across England, at famous monuments like London Bridge. Flaying or skinning alive is the practice of cutting off a man’s skin while he still lives. The method can be traced all the way back to 911 BC, where it was practiced by the Neo-Assyrian Empire. 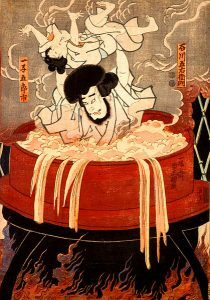 This excruciating method has been used throughout history ever since then, and probably before as well. Flaying was both torture and execution, the method was slow and painful like most execution methods. Normally the executioners would attempt to keep the skin intact as they took it off, and it ended up looking like a gruesome Halloween costume. 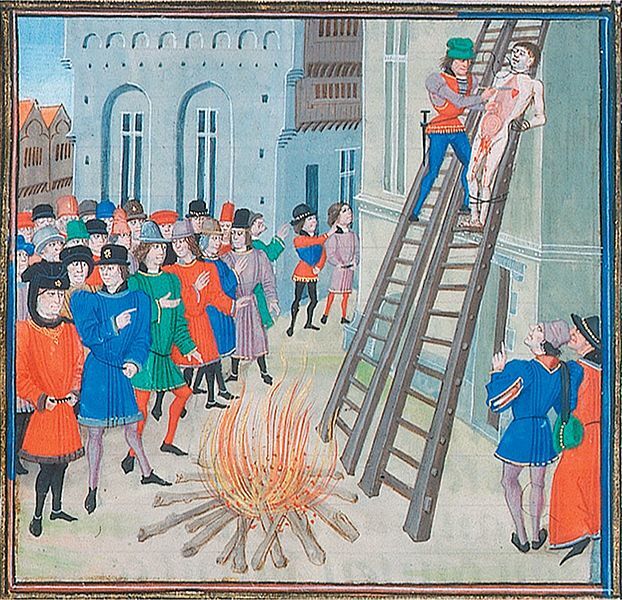 Sometimes people would be flayed after death, this was to degrade the corpse, or to deny entry to the afterlife. Death by a thousand cuts, or Lingchi, is one of Asia’s most brutal execution methods. It’s called death by a thousand cuts because the man is cut endlessly all over his body until death. This type of execution takes a very long time, and is extremely painful. The punishment was only used against the worst crimes, such as high treason, matricide or patricide. The practice lasted for a thousand years before being outlawed in the 1900’s. A criminal would be tied to wooden frame, the flesh was then cut from his body in multiple slices. 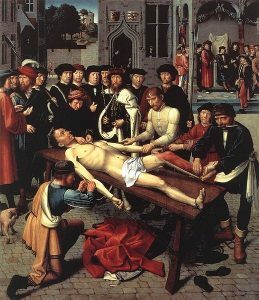 The execution would be done in public, and it was also believed that the would not be whole in the afterlife. 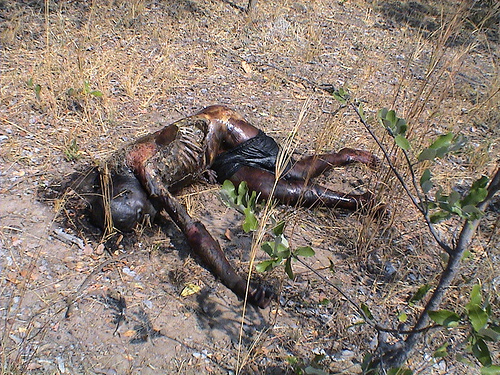 Necklacing is the act of executing someone by placing a tyre, filled with petrol, over their neck, and the setting it on fire. Death can take 20 minutes, and causes extreme burns. It originated in Eastern Cape, South Africa, in the 1980’s. The first recorded incident was in Uitenhage on 23rd of March 1985 when it was used on Benjamin Kinikini. Kinikini was rumoured to be connected to a local vigilante group. Necklacing was sometimes given out as a punishment by people’s courts established in black townships as a means of enforcing their own judicial systems. Crucifixion is one of the most famous execution methods in the world, it’s the methods famously used to kill Jesus Christ. The person being executed are tied or nailed to a wooden cross, and left their for a few days. Eventually the person will die from asphyxiation, or exhaustion. Crucifixion was used as a deterrent to scare other people into not committing the same, or similar crimes. 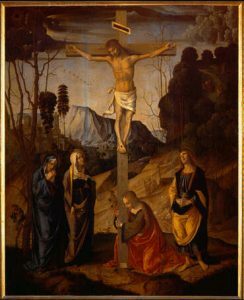 The death was slow and painful, and sometimes people would even have been attacked to the cross upside down to increase the pain. Sometimes people would have to carry their own crossbeams to the execution grounds, this would weigh about 100 lb. 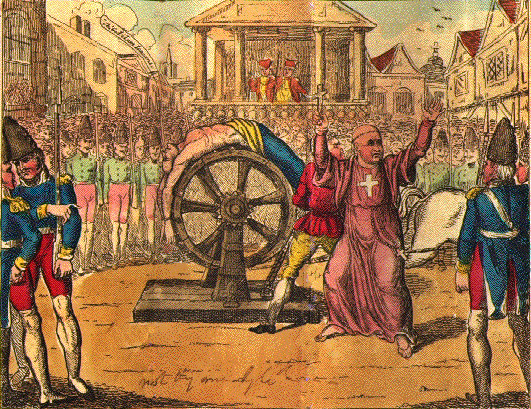 The breaking wheel was one of the most common execution methods of the medieval times. The victim would be attached to the wheel and his arms and legs would be stretched, out along the spokes. They would then turn the wheel, and use a hammer to smash and break the bones of the person attached. After the persons bones were shattered they would then be left to die on their own. This could take days. With the bones broken it became easy to weave the persons limbs between the spokes, and he would be put on top of a pole while still attached to the wheel, and the birds would eat the victim alive. This method was made famous by Vlad the Impaler, which is how he got the nickname Impaler. His real name is Vlad Dracula. The method involved impaling people on a large spike while they’re still alive. Vlad executed 80,000 people this way, and would watch it happen, while drinking human blood. This terrified Vlad’s enemies as when they entered his territory they were surrounded by a forest of dead bodies impaled on spikes, some of were still living. 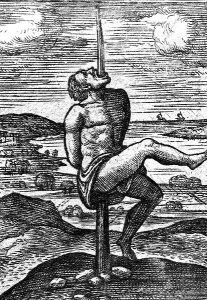 Impalement was often used for high treason, or to put down rebellion. Death can occur in seconds, but some people would take 8 days to die. 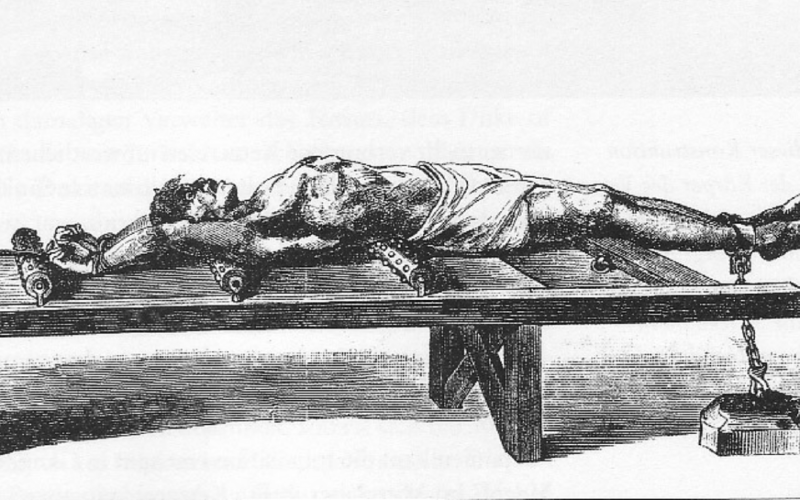 Rat torture has been described as the most gruesome of all execution methods. A pottery bowel would be filled with rats and placed upside down on the naked body of a prisoner. The pot would then be heated up with hot charcoal. The rats would then panic and become desperate to get out. They would desperately gnaw the body of the naked man in an attempt to escape. The rats would eventually make their way into the criminal’s body and start to gnaw at his internal organs. 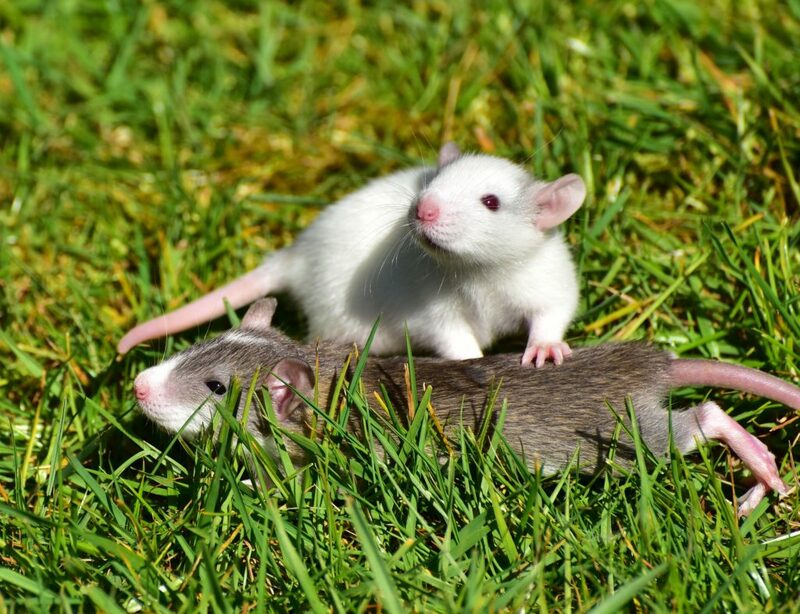 Rats have been used in many different ways to torture victims. Elephant crushing is the act of killing someone slowly with the use of an elephant. Highly trained elephants have the ability to slowly exert pressure onto the intended target. A person’s head would be tied to a stone and, the elephant would begin to slowly apply pressure to his head. The process would become more and more painful, and terrifying the closer you got to death. 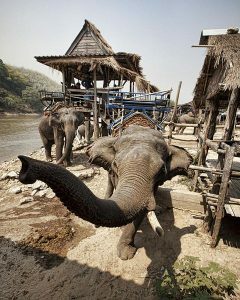 This would continue until the elephant stomped it’s head completely. Elephant crushing was used by the Romans, and multiple Asian countries. Sometimes instead of an elephant they would simply place large stones on someone’s chest until they died from the pressure.